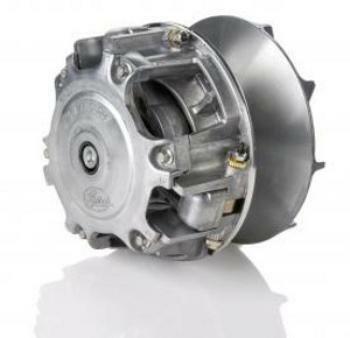 Gates Corp. of Denver, Colo., is recalling about 500 ATV and UTV clutches. The clutch can break during operation of the vehicle and cause fragmentation and forcefully eject parts, posing laceration or impact injury hazards to the operator. The firm has received three reports of the clutch breaking during operation of an ATV, including one report of a laceration to the rider. This recall involves two models of the G-Force CVT clutches that are aftermarket metallic, cylinder-shaped replacement clutch assemblies for use in all-terrain-vehicles and utility task vehicles. The part number, “G-FORCE” and the Gates logo are printed on the round top of the clutch. The UPC, part number and internal product number are printed on the packaging. The clutches, manufactured in Canada, were sold at 3P Off Road of Tomball, Texas; Carolina Custom ATV of Apex, N. C.; Sawgie Bottom Outdoor Powersports of Leesville, La. ; and Tuner Solutions of Deville, La., from March 2016, through September 2016, for between $900 and $1,000. Consumers should immediately stop using vehicles with the recalled clutches and contact Gates for instructions on receiving a full refund plus an additional $300 to cover disassembly and reinstallation costs upon return of the recalled clutches to Gates. In addition, Gates will also ship a G-Force Belt at no cost to consumers who return the recalled clutches to Gates. The firm is contacting all known purchasers directly. Consumers may contact Gates at 800-766-9504 from 7:30 a.m. to 3:00 p.m. (MT) Monday through Friday, by email at cvtclutchrecall@gates.com or online at www.gates.com and click on “CVT Clutch Recall” for more information.